2018 promises to be an exciting year for the Livestock, Livelihoods and Health (LLH) programme as we enter the final stages of the research projects. All the hard work and dedication that has gone into planning and preparation, implementation of field studies and setting up of laboratory assays is coming to fruition. Now is the time for researchers to bring together the multiple and diverse strands of data to build an understanding of how changes in livestock systems are affecting livestock diseases and how these are impacting on human health, livestock production and household livelihoods. We sometimes use the analogy of weaving a tapestry to describe the creativity of this part of the research process, combining threads of evidence to allow patterns and understandings to emerge. For LLH, some clear patterns are already appearing, and the benefits of integrated research and interdisciplinary perspectives are already becoming very clear. One emerging pattern from the Social, Economic and Environmental Drivers of Disease project relates to a shift towards keeping of sheep and goats in semi-arid rangelands. This provides an excellent example of the value of an interdisciplinary approach. Drivers of this livestock shift were highlighted by econometric analyses using household questionnaire data, with further understanding gained through insights from qualitative community-based studies, and analyses of climate data and the policy landscape. The consequences in terms of disease risk are now being examined through epidemiological analysis of infection patterns, and quantitative and qualitative approaches will both be needed to explore potential disease control and prevention strategies in relation to effectiveness, feasibility, accessibility, affordability and acceptability. As a result of the LLH platform, interdisciplinarity is now embedded as a core feature of the disease research programme in northern Tanzania and looks set to continue. Understanding drivers of antimicrobial resistance (with a development award from the Medical Research Council). Characterising livestock movements and contact networks, using novel sources of data and analytical tools. 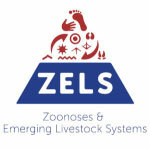 Research into other important causes of livestock mortality and morbidity, including a surveillance platform for identifying important causes of reproductive loss (with funding secured through a grant from the University of Edinburgh supported by the Bill and Melinda Gates Foundation). Expansion of the zoonotic disease research, including new investigations of toxoplasmosis, leptospirosis and echinococcosis. It is exciting to see how the scope of the LLH programme in Tanzania is now expanding. However, we need to hold fast to the core principles underpinning its success – establishing respectful and supportive partnerships, recognising the value of interdisciplinary contributions and combining world-class research with real-world impact.